A value proposition is a promise. It describes the value you deliver to your customers. Usually captured in a short statement, it clearly defines what your company does, how you meet customers’ needs and why they should choose you over a competitor – A great value proposition clearly states your unique point of difference. It’s not easy to capture all of this in one proposition but when you have done this, it provides you with a powerful tool for converting prospects to customers. Your value proposition gives prospects the reason to buy from you, it brings your internal team together behind your unique selling point and forms the basis of consistent marketing communications. The following guide will help you formulate yours. The better you understand your target audience, the more relevant your value proposition will be, because they are at the centre of it. Consider their age, buying power and geographical location. Identify the customers you want more of and use them to build a picture of the audience you are targeting. What kind of language do they use and where they go for information about the products and services you offer? Answering these questions will help your view your product from their point of view. How do you solve the problem for them? The reality is that people aren't just buying a product or service, they are buying a solution to a problem. Make a list of all the benefits your product offers customers. For example, Amazon made purchasing online easier while Uber is improving the on-demand car service. Your customers may be comparing your products and services with those of a competitor so your value proposition should focus on the unique qualities of your product or service. It could be price, speed of delivery, unique features or stand out service. List the key features of your product or service offers. Features are different to benefits. Features are the facts about your product that provide enough detail in a clear concise way so that prospects can quickly understand what you are offering and how it will help them. Why are you different and better than others – essentially, why customers should choose you? There might be a number of reasons why your product is better, however there is probably one that your customer cares most about. Is the market underserved currently? In a highly competitive market, your value proposition might look different from one in which there are few competitors. Benefits like service and brand identity might be stronger differentiators than features, if there are many similar products to yours already being offered. Are you cheaper than other products on the market? This is a super easy proposition to explain but there are obvious disadvantages in being the lowest cost product if you need to continue to sacrifice profit for market share. Is your product uniquely different? If there are no products like yours on the market you might emphasise the innovative factors of your product. These could be either based on your unique features or your brand. Do you offer great customer service? If you make things much easier for your customers you’ll build a loyal following from people who would rather buy from you, even if it costs more. How urgent is solving the problem? Understanding the element of urgency in demand for your product is important to building your value proposition. If there is a high degree of urgency, your value statement should mention your speedy and efficient turnaround for delivery. Are you a partner in their business? In B2B, your expertise may be a vital and integral part of your clients’ businesses. The Dilmah brand is now the third largest tea producer in the world. Dilmah founder, Merrill J. Fernando pioneered the concept of ‘The Single Origin Tea’. The product is ‘picked, perfected and packed’ at source. The company has built a loyal customer base around the values of ethics, integrity, passion and quality (summed up in the image above from their home page). Every box of tea has a personal message from Fernando about his lifelong commitment to tea, his family involvement, the care that goes into creating the finest tea in the world and the ethical way the company cares for the plantation staff. Ikea was founded in the 1940s by Ingvar Kamprad to sell good quality furniture and home furnishings at affordable prices. Ikea describe their value proposition “To create a better everyday life for the many people”. The business idea is “to offer a wide range of well-designed, functional home furnishing products at prices so low that as many people as possible will be able to afford them”. Ikea has successfully marketed ‘self assembled’ furniture as a consumer benefit rather than a hassle and the successful brand now has stores in 32 countries. It’s simple and clear, Shopify provides you with the tools to sell online. End of story. Website Homepage – Put it front and centre on your website’s home page and in your websites meta data. Metadata is the short description that explains the contents of your page. It helps people in their internet search to scan the information you provide and also helps search engines rank you. Social Media – Use your value proposition in your social media pages both in your page description and in your posts, ads and tweets. PR and Comms – Back it up with every comms going forward, such as annual reports and presentations. The Team – Make sure your company personnel such as sales and customer services staff are be familiar with the proposition and can give the ‘elevator pitch’ with ease. Your value proposition serves as a foundational idea that underlies your business and can set you apart in the long haul. Research company, Millward Brown, found that the magic ingredient in their BrandZ Top 100 survey is ‘difference’. The 50 brands that score highest on difference grew their value by 124% over 10 years, while those in the bottom 50 (also strong brands) boosted their value by just 24%. Take the time to thoroughly analyse what your company’s purpose is and what you it can do for customers and how your product or service differs from others. Then use this idea across all your marketing communications to give your prospects the reason to choose you. 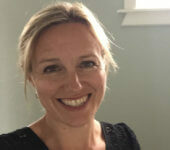 About the Author: Liz Studholme is the Marketing Content Manager at BOMA. We take the complexity out of digital marketing. Find out more.